These bronze finish motorsports medals are supplied complete with a hinged and lined presentation case. They are 50mm / 2in in diameter and feature a scene of a racing helmet on a chequered flag background set within an attractive border. 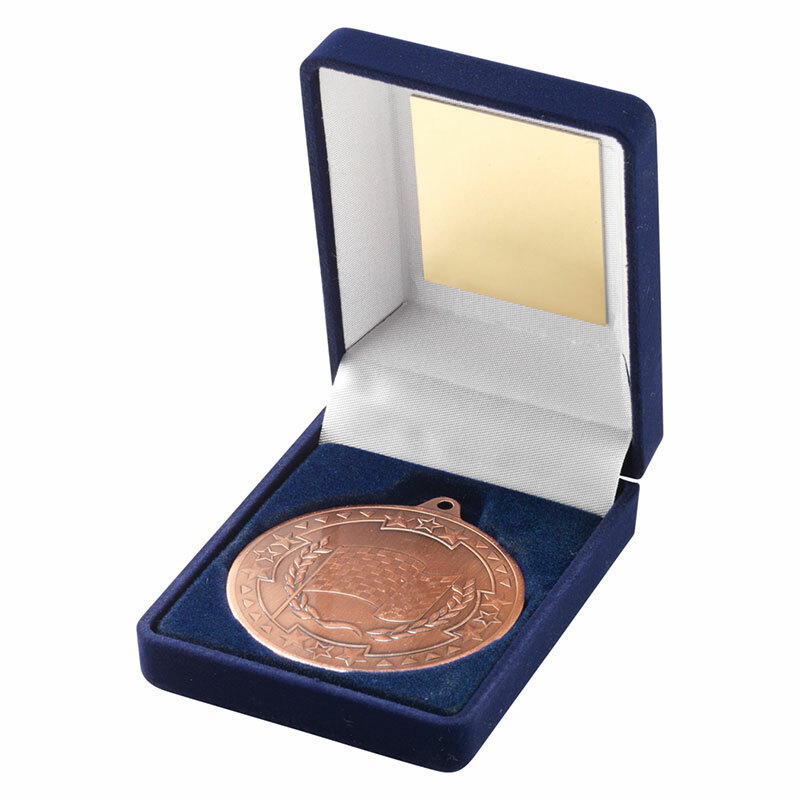 The medals are supplied with a hinged case that includes a metal engraving plaque. These bronze motor sport medals are offered with low cost text engraving.